The North Shore Winter Club tennis facility is one of the best kept secrets on the North Shore, but we want to get the word out so everyone can enjoy it. We have seven indoor courts and four rooftop courts that provide an incredible view of the North Shore Mountains. 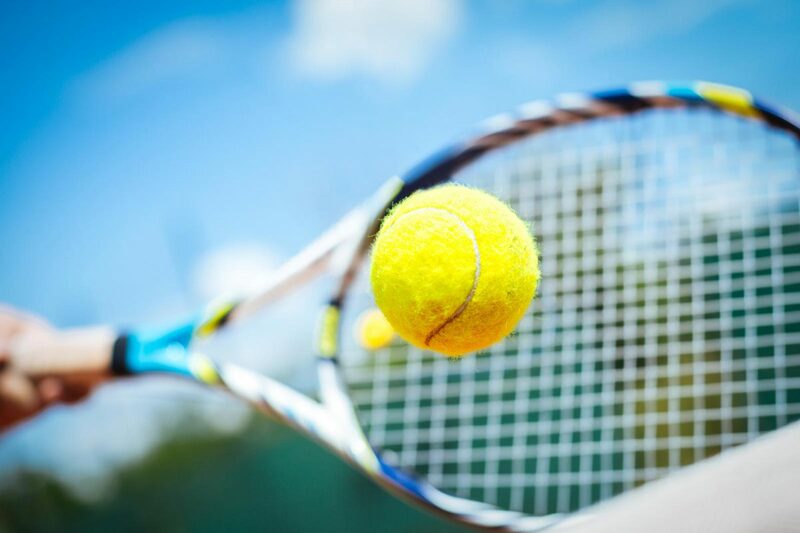 Whether you’re brand new to tennis or you just want to perfect your serve, a private or semi-private lesson with one of our experienced instructors might be exactly what your game needs. We offer year round tournaments and social mixers for adults and juniors. Our coaching team has an unparalleled commitment to the people they work with and is driven by a deep passion for the sport based on knowledge and experience. The NSWC Tennis program is known as one of the best training facilities for juniors in Western Canada. From 2012, the ITF (International Tennis Federation) Rules of Tennis state that competition for players aged 10-and-under must be played with slower Red, Orange and Green balls on the appropriately sized courts. The traditional Yellow ball will not be permitted. All NSWC 10-and-under tennis programs will be using this ‘Progressive Tennis’ format. Progressive Tennis is a recognized international format that teaches tennis in a fun and interactive way by using tennis balls, racquets, nets, and courts that are scaled to match the size and age of the players. This format provides young players with optimal challenge and success: skills can be learned faster, rallies can be enjoyed sooner, tactical practice is well facilitated, and the transition to full court can be made easier! RED, ORANGE, AND GREEN programs have been split into two pathways: a PERFORMANCE pathway and a HIGH PERFORMANCE pathway. Programs include Le Petit Tennis, Red Ball Level 1, Orange Ball Level 1, Green Ball Level 1, and Teen Tennis. We have a variety of coaches who can help you to optimize your tennis performance. Coaches can work one on one to help with specific weaknesses or run fun social group lessons to meet new people.